For more than 25 years, Jim Horowitz has been putting on some of the biggest music events in the Roaring Fork Valley. But it wasn’t always that way. The Snowmass Concert series finishes tonight on Fanny Hill. This summer, most of the shows have avoided the anecdotally present rain that seems to have interfered in previous seasons. The series featured music industry veterans like Taj Mahal and newcomers like Jamestown Revival. Aquil Charlton brought a shopping list with him on his flight from Chicago to Denver, including tape, vinyl tubing and some soup cans. The upright bass is big, heavy and often times inconvenient. But under a tall tree, next to a pond, Will Langlie-Miletich doesn’t seem to mind any of that. Will comes from what would be an unconventional background in comparison to many of his peers at the school. His parents were fans of Bruce Springsteen. The Boss. He began playing the guitar in the third grade. This playlist includes an hour of 2014's Best 'Under the Radar' songs, as broadcast Saturday night December 20 2014 on Aspen Public Radio's Aspenbeat show. Aspenbeat tends towards singer songwriter, contemplative, under the radar songs, with an emphasis on pop and rock and roll tunes. Yes, Taylor Swift, One Direction, Nick Jonas, Meghan Trainer, Ariana Grande, St. Vincent -- they've all released powerhouse songs this year. Those songs aren't on this list -- Aspenbeat is out to introduce you to some tunes that you might not be hearing on the radio or including on your Spotify playlist or Pandora station. Featuring both emerging and established artists including Willie Nelson, The New Basement Tapes, Stevie Nicks, Sam Smith, Pharrell Williams, Mariah Carey, Indiana, Jackson Browne, The Doobie Brothers, Dr. John, The Breithaupt Brothers featuring Ron Sexsmith, Tei Shi, Birds Over Arkansas, Kids On Bridges and Paolo Nutini. And we ran out of time but also Adam Levine and his 'Lost Stars' song from the 'Begin Again' movie. 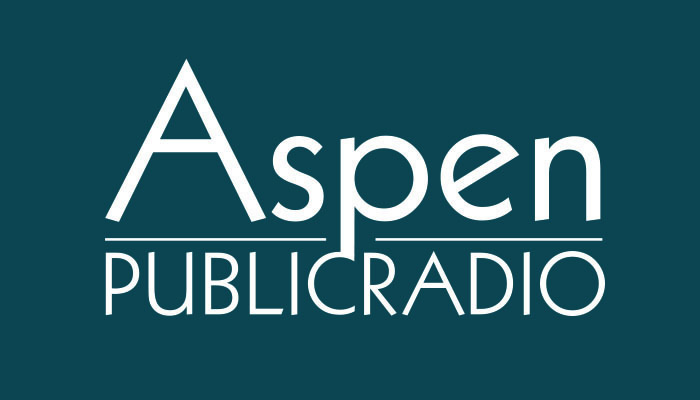 Aspenbeat's show this weekend included a selection of tunes by Van Morrison. That's because publishing company City Lights recently(10/28/14) released a fascinating book (especially if you're a Van Morrison fan) of Morrison's lyrics called 'Lit Up Inside'. The book collects the lyrics of about 100 songs chosen by Morrison himself from his 50-year, 34-album career. "It’s a celebration of making music, because music is more important than anything really, as far as we’re concerned." Stephen Harris (aka "Haggis") of Mt. Sinai Medical School. Harris was a bassist with the heavy metal band The Cult in the 80s, a painter and rock climber in the 90s and is now a documentary filmmaker and third year medical student at Mt. Sinai in NYC. This is the final part in a 2-part series. The music department at the Aspen School District is growing, despite the odds. The budget for music is minimal compared to schools in other states. Last week though, the school welcomed its first ever musician in residence who taught middle and high school students jazz. Aspen Public Radio’s Marci Krivonen visited band practice and filed this report. Band practice is in full swing on a Wednesday afternoon. Students with saxophones, trumpets and drums tap their feet as the piece they’re playing reaches a crescendo. Stephen Harris (aka "Haggis") of Mt. Sinai Medical School. Harris was a bassist with the heavy metal bandThe Cult in the 80s, a painter and rock climber in the 90s and is now a documentary filmmaker and third year medical student at Mt. Sinai in NYC. Part 1 of 2.